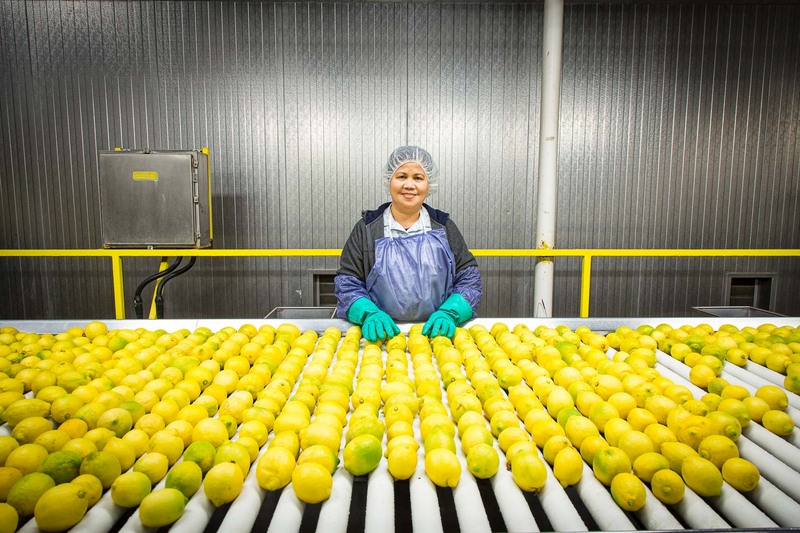 Woman in citrus processing plant sorting lemons on conveyer belt. Industrial, agriculture. David Zaitz Photography.